It’s 3am I must’ve Missed one! In the wee hours of the night I awoke to go to the restroom and while I did my business it dawned on me that I did not blog for Friday the 11th! I couldn’t believe it. Friday was a busy day. Friday afternoon my coworker and I drove to the Space X launch site at Boca Chica Beach, Brownsville, TX. It’s an hour drive there and another hour drive back. 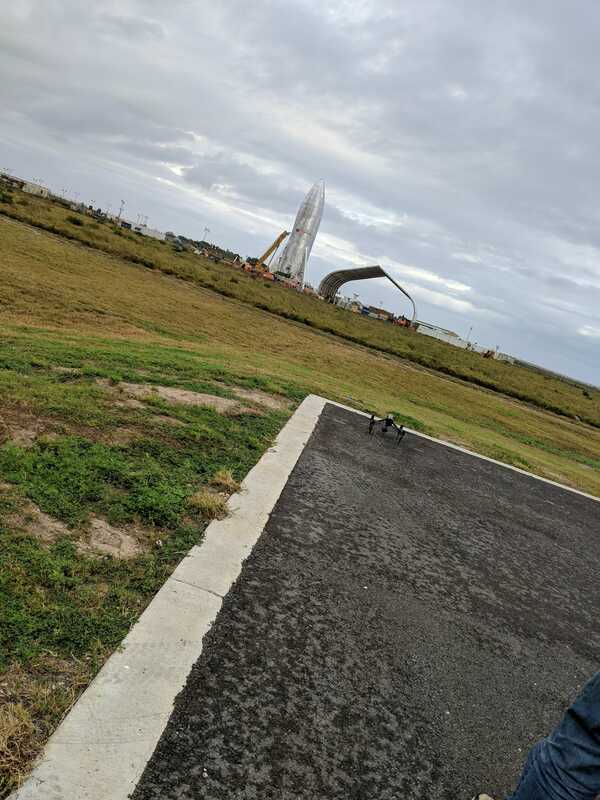 We headed out there to fly the company drone over the rocket Space X is assembling. As soon as I got back to the office at 5:45pm, I booked it home to head out to dinner plans. Drove 45 minutes to our dinner spot but only to wait another 20 minutes for our friends since they went off to the wrong location! After said and done, we got home at 11ish, watched and old episode of Big Brother and crashed out. I don’t plan to miss any more days this month!